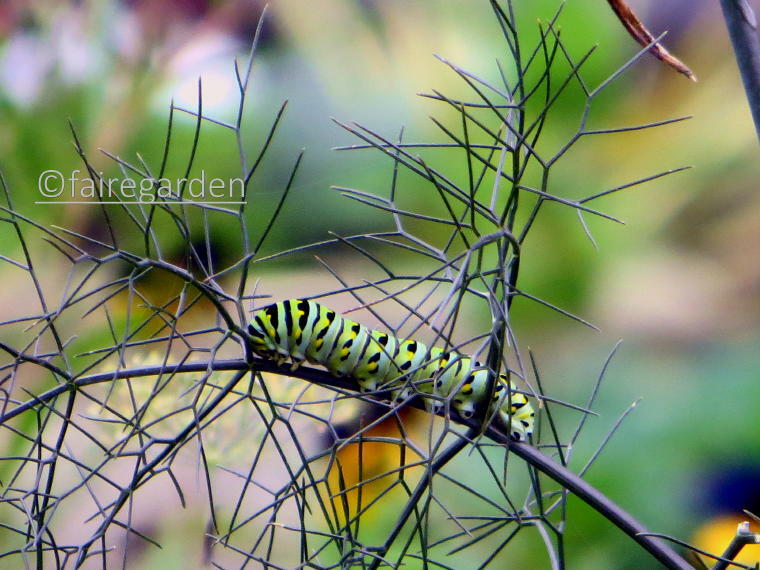 This entry was posted in New garden, wildlife. Bookmark the permalink. The garden is going into that rusty stage. The few flowers that are still blooming do make me happy. Those dreaded morning glories in any form are pretty but I don’t let them bloom if I can help it. I wonder if that cuphrea would self seed around here??? If I find it I will give it a try. It is pretty. Hi Lisa, thanks for stopping by. Rusty stage, I love that! 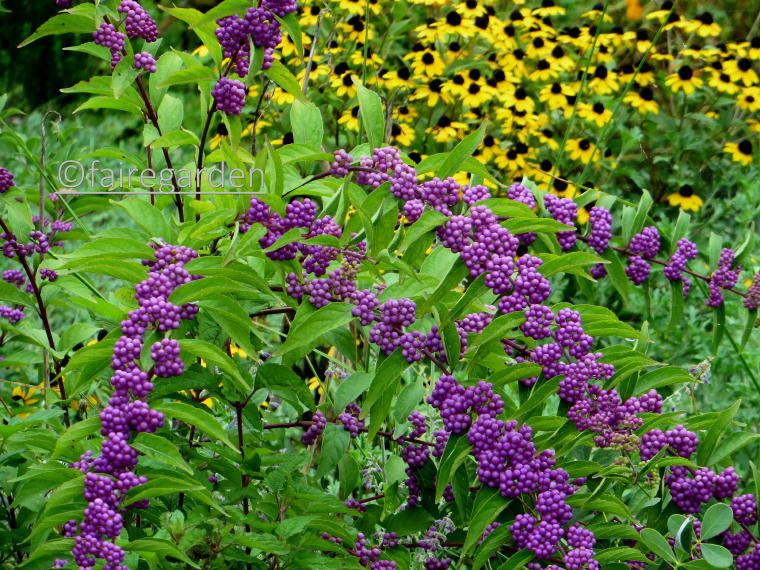 We, and the pollinators do appreciate the blooms now and into the fall. Asters and mums will carry us across the bridge to winter. It’s sad, but spring would not be so sweet without the cold. Sorry…got carried away there! 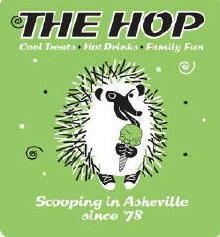 Do try the Cuphea, it’s worth the effort to find it. Don’t remember where I got the original seeds. It’s a gusty morning here, ushering in the welcome coolness of fall. I still have color in my front courtyard garden, but sleepy time is on it’s way. Hi Barbara, hope it’s not too windy there. We are to get the wind later today, but Harvey is quite a bit west of us so it won’t be bad. Hardly any rain, either. Fall is bittersweet, but beautiful. Hellllllllllllllooooooo Frances! You beat me to the punch, I was going to say “42” and there it was, on my monitor. As I used to say in elementary school (when dinosaurs roamed the Earth) “Pins on YOU!!!”. 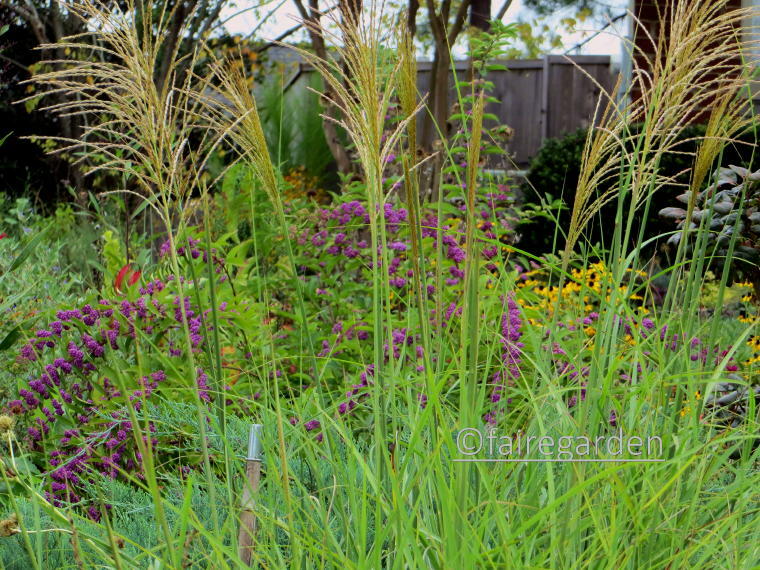 Your gah-den looks lush, and I especially like the silver/grey/taupe aspect of it between the grasses and earlier flowers rusting…. which especially makes other colors pop. I hope in addition to your gah-den that your now not-so-new town has embraced you with all your talents and your new roots continue to strengthen. Many plants here in CT have moved their debut forward by at least a month. My many Honoring Jobert Anemones are moving from buds and beginning to flower. While I love seeing them, I planted them for their bloom in later Sept-early Oct when I entertain many friends in my Sukkah (hut in the garden for the Jewish Harvest Festival after Yom Kippur) . And here they are, swanning in at Labor Day. That and Harvey should give us much pause. 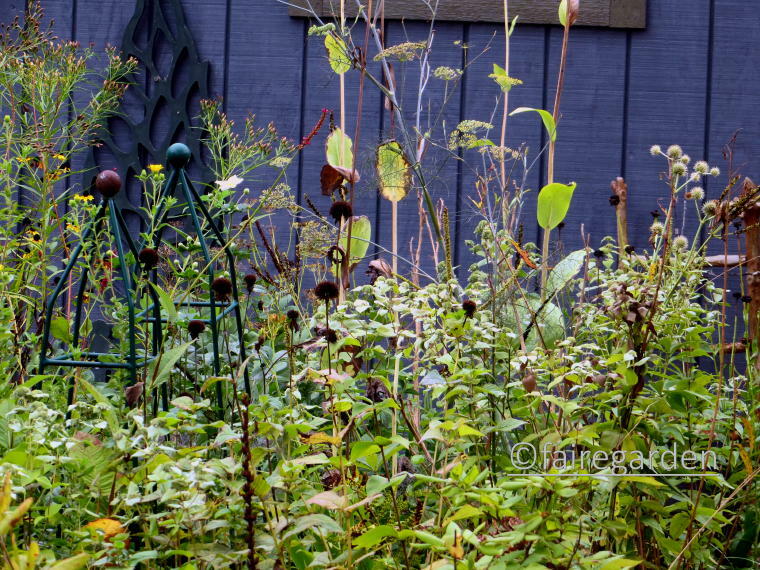 Eager for some really long shots to see the yin/yang of your plants and garden bones/structure…. 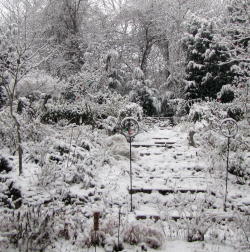 to see how the garden design and screening are working out. Above all , wishing a new school year of health, joy and good fortune to “The Gardener” as you refer to her, and her family. Hello, dear Marguerite! I so appreciate the time and effort you put into your comments! The next post will contain long shots of the lawn/meadow, maybe. I almost made that the subject this time. It is finally looking like something more than lawn grass left unmown. We are also a good month ahead with blooms this year. The muhly grass is beginning already. Honorine is a favorite here, so tall and fresh. May yours hold on for your sweet celebrations, and the good wishes back to you. 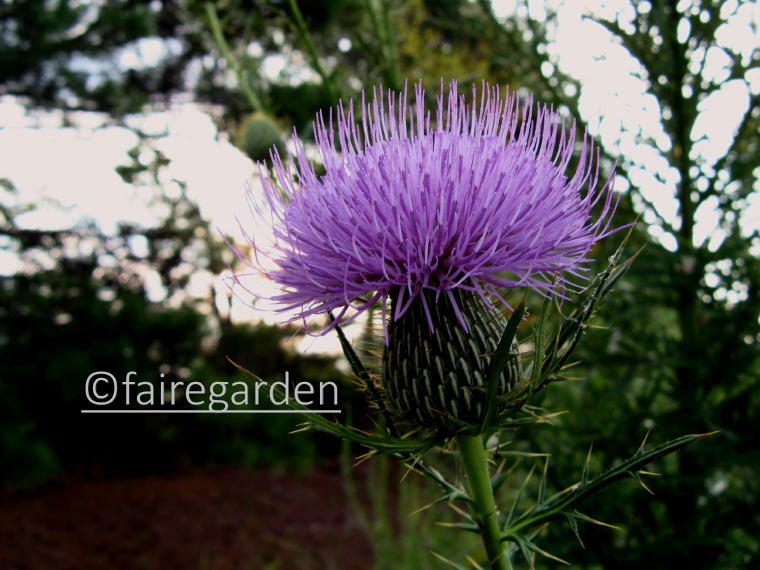 I know thistles provide food for pollinators and birds, but I just don’t want them in my garden. I battled them for years in the peony bed of my previous garden. Now morning glories take so long to get going here that they aren’t much of a problem. They don’t even start blooming until mid-August. I need to get more Rudbeckia triloba. Hi Kathy, thanks for visiting. I completely understand the abhorrance to thistle. It is a bane to farmers since the livestock won’t eat it and it seeds so prolifically. We only have one plant and that is for the best. Why this plant has grown to tree size is a mystery. 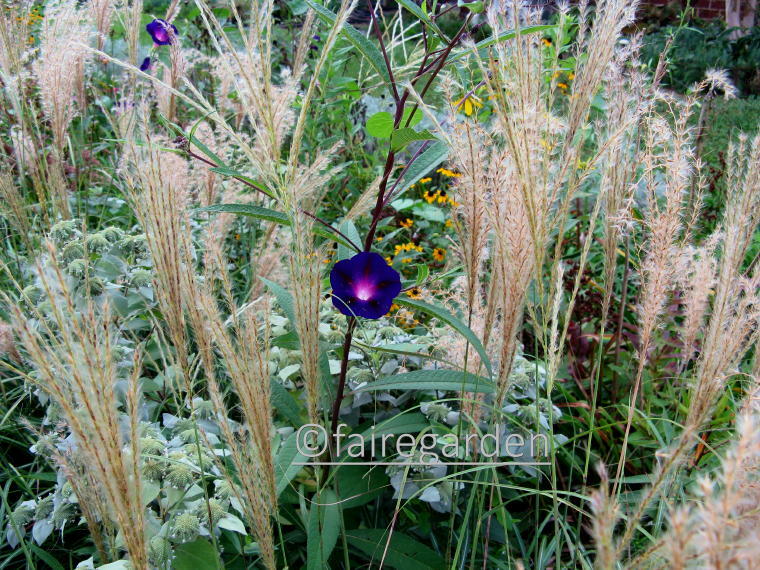 The morning glories are late here, too and are also kept to a minimum. Triloba is so elegant, more so than hirta and the perennial ones, but it must be watched. Love the morning glory, it has just been too cold here for them to flower. Had buds in July but then a couple of coldish nights put paid to any flowers. 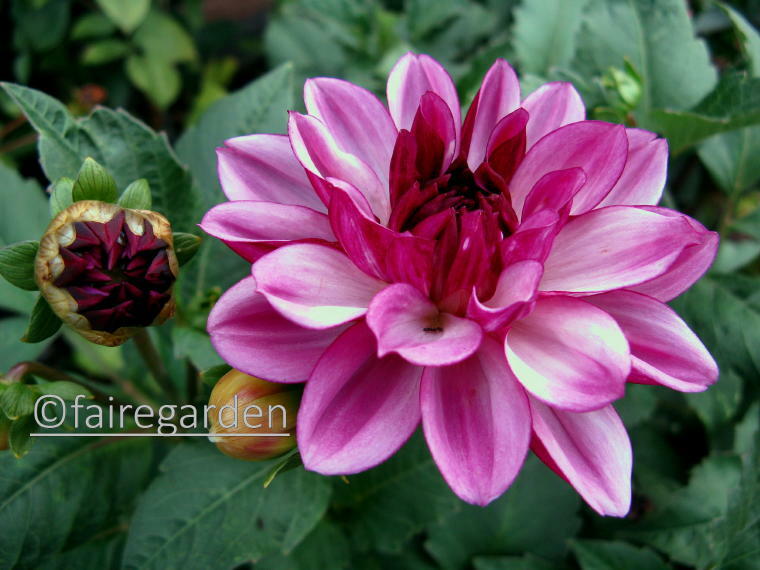 I am hopeful that with a warm September I may see a flower, I would be happy with just one! Hi Sylvia, so nice to see you! May you get those longed for morning glory blooms soon. They often survive several frosts here, but our climate is very different than yours, I know. Happy fall! Oh my! 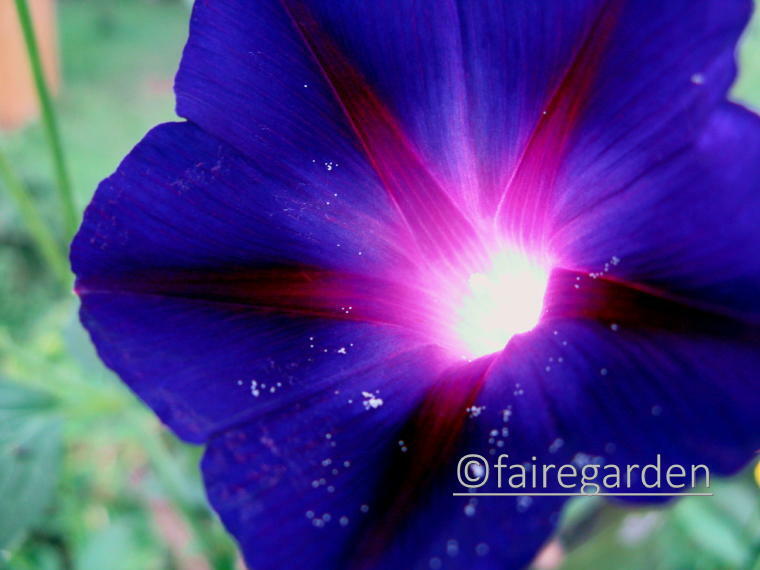 Your photo of the morning glory is magical! There is a light emanating from within it! Thanks so much for this bit of floral wonder. Hi Susan, thank you so much. The morning glory centers are certainly full of wonder and magic. It offers lots to imagine, doesn’t it? thank you, thank you, for all that beauty in your garden that you share with the world… you have such a keen eye and talent to show it off! i especially love your question about the morning glory flower… such depth and appreciation! I a l w a y s enjoy your blog, but this one brought magic to my soul!! Hi Tineke, welcome and thank you for those kind words! Dutch/Canadian sounds like a most interesting mix of gardening experience. The morning glory flowers never cease to fill me with wonder and amazement. How something so common can hold boundless paths of imagination. I love reading your blog. Because I live in East Tennessee, too, I can use your posts to imagine what I might try. Thank you so much! Also: 42, funny! Hi neighbor! 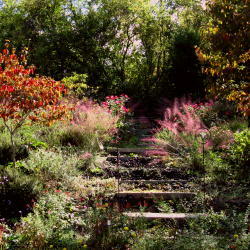 It is nice to find a garden blog that shares your climate. 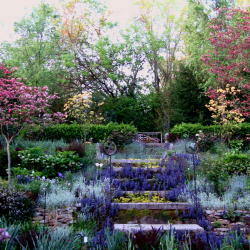 Every garden is unique in soil and siting, too, but maybe you can get some ideas of new things to try. Hope so! The photos are so beautiful ! Beautiful and I’m glad to see someone else sneaks a thistle in here and there just because you can. 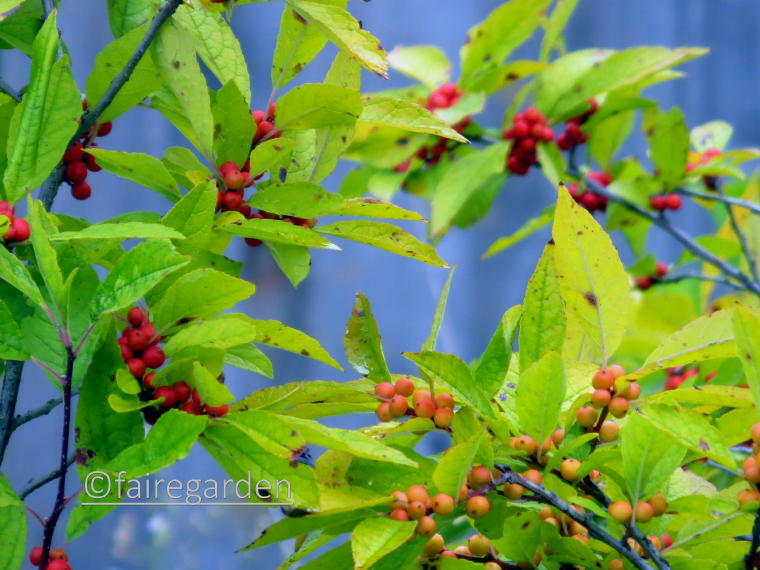 The goldfinches will thank you as well. 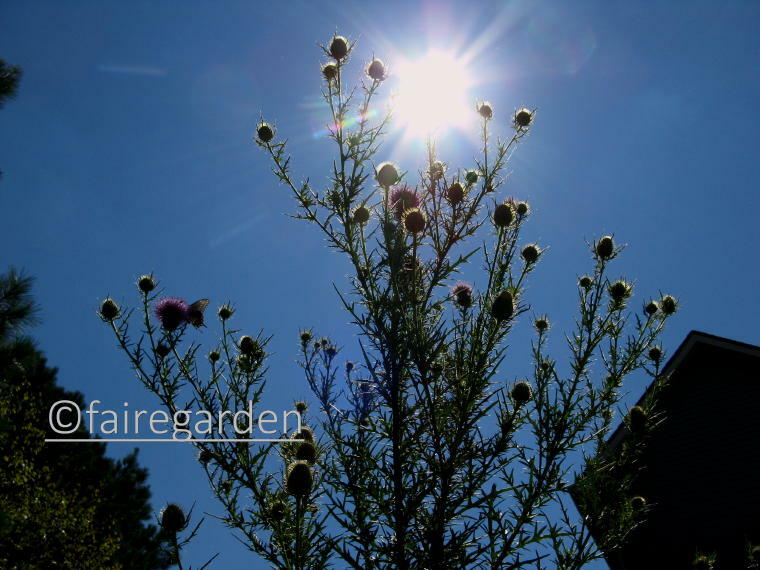 Morning glories are amazing but for as brave as I am with the thistles I’m scared of the morning glories! 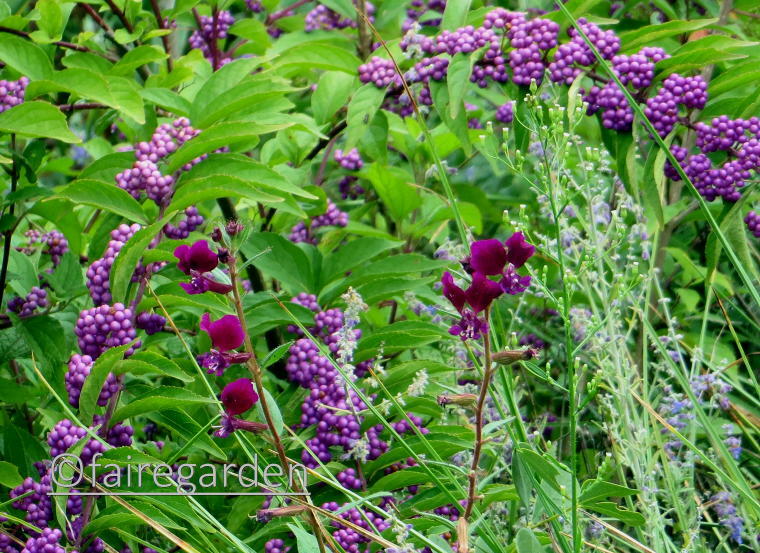 Yes, late summer can find the garden faded around the edges. But we gardeners can still find the magic. Hi Robin, thanks for stopping by. Sometimes I feel like cutting the whole garden down at this time of year, but think better of it knowing there are still flowers to come and how much the wildlife depends on our leaving things standing. Hi Rose, nice to see you! 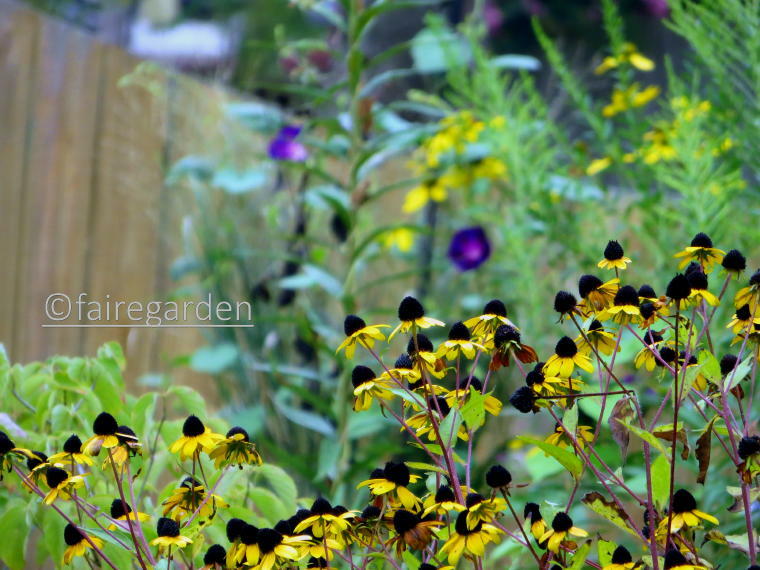 The Rudbeckia triloba has a lot to offer the late summer garden. But if you are trying to grow some smaller things too, it has to be pulled before setting seed or moved to a meadow type space. It’s worth it, though.